Throw Pillow Cover made from 100% spun polyester poplin fabric, a stylish statement that will liven up any room. 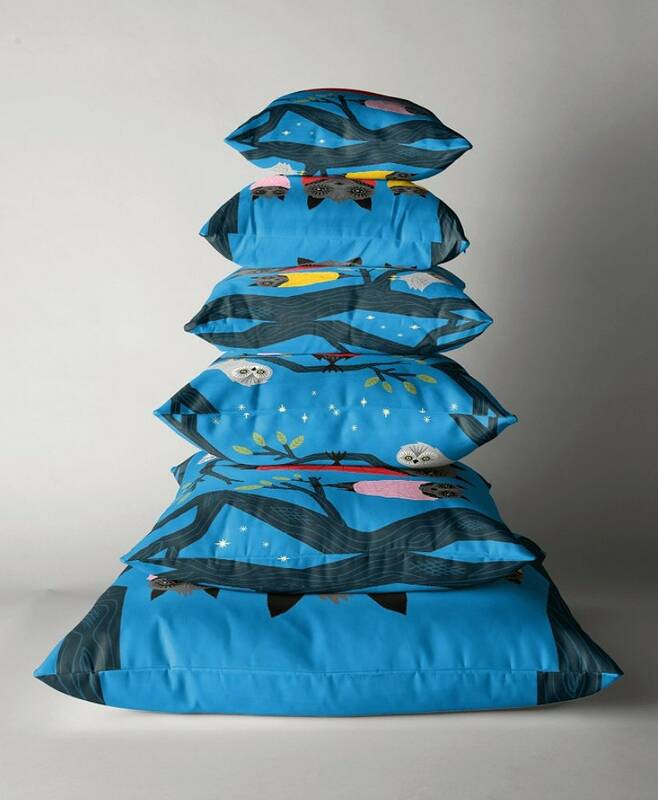 Individually cut and sewn by hand, the pillow cover measures, features a double-sided print and is finished with a concealed zipper for ease of care. Purchased as a gift. I’m sure she will love as it is so cute! If you have ever watched video of rescued bat pups, then you already know that there is literally nothing sweeter than baby bats cuddled up in blankets. 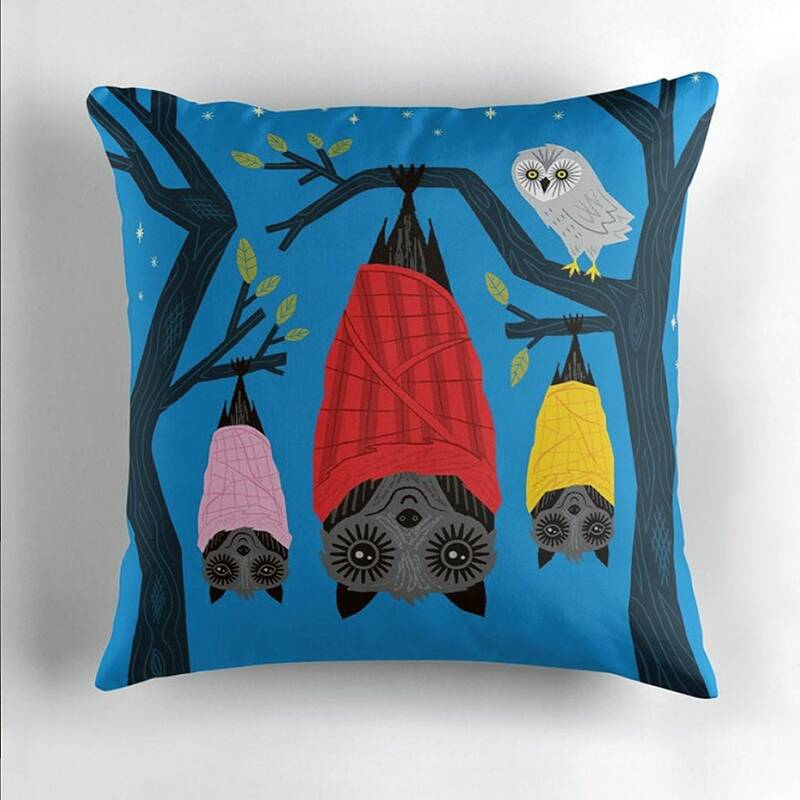 This little pillow is SO cute that I am designing my son's room around it!! It's just a little pillow, but the colours are so vibrant that it is the first thing you look at when you enter the room. 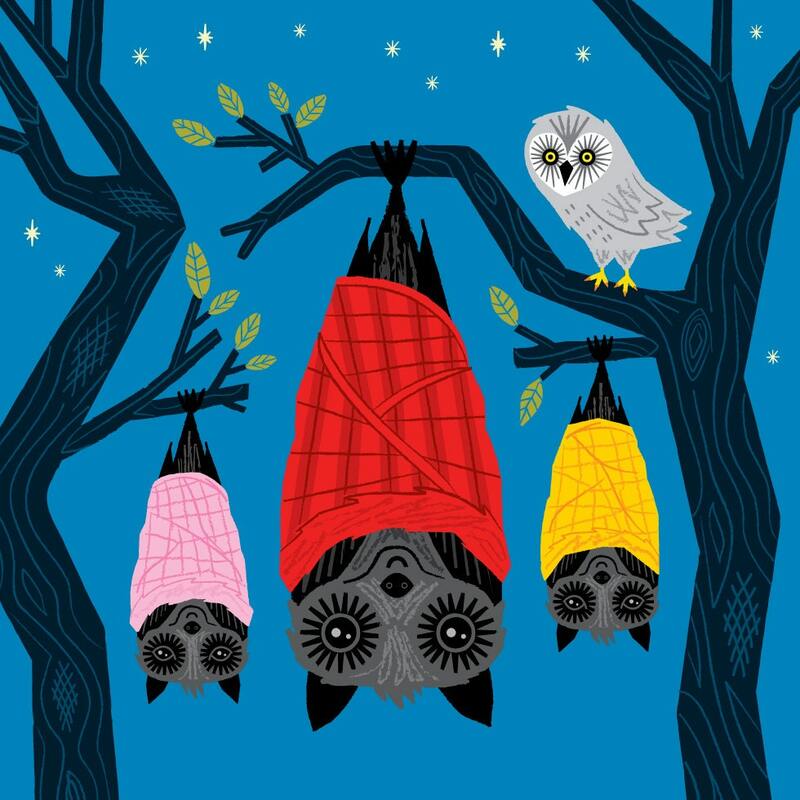 The bats are precious in their respective blankets and their grey owl friend is pretty darn cute, too. The pillow's fabric is nice and it is finished well with a good quality zipper - no short cuts here. I am thrilled with my purchase... I may even order another. Thank you!! J'adore cette nouvelle housse de coussin. Je la recommande, tr?s bonne qualit?! Fantastic Illustrations. Wonderful Seller. Very highly recommended. Thanks! This Cover is wonderful. The colours are great! I love it!